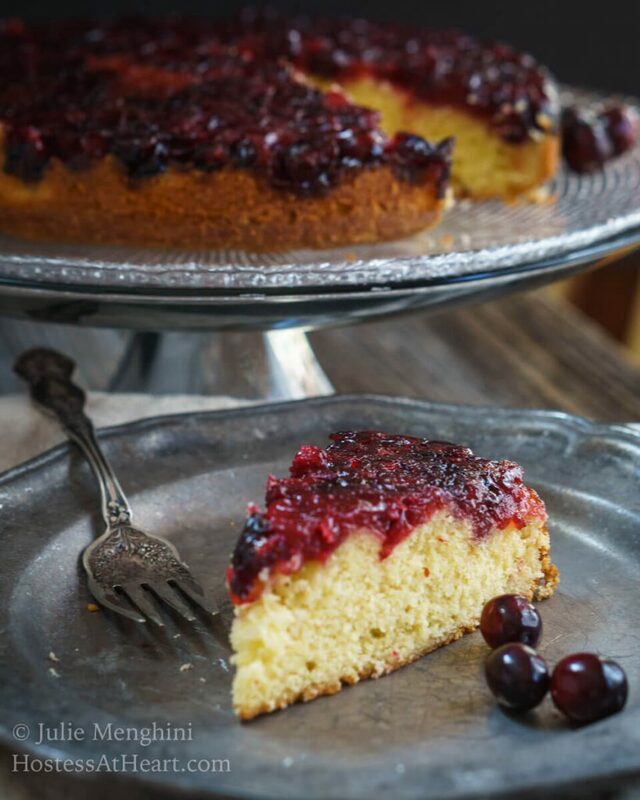 Cranberry Upside-Down Cake is soft and tender. The cake tastes like sweet cream which is a great contrast to the tartness of the cranberries. It’s a great way to launch #CranberryWeek! Cranberries are such an underutilized fruit. It used to be that most households would buy a bag of cranberries (or can) for Thanksgiving. They were always made into a sauce or salad in my house. 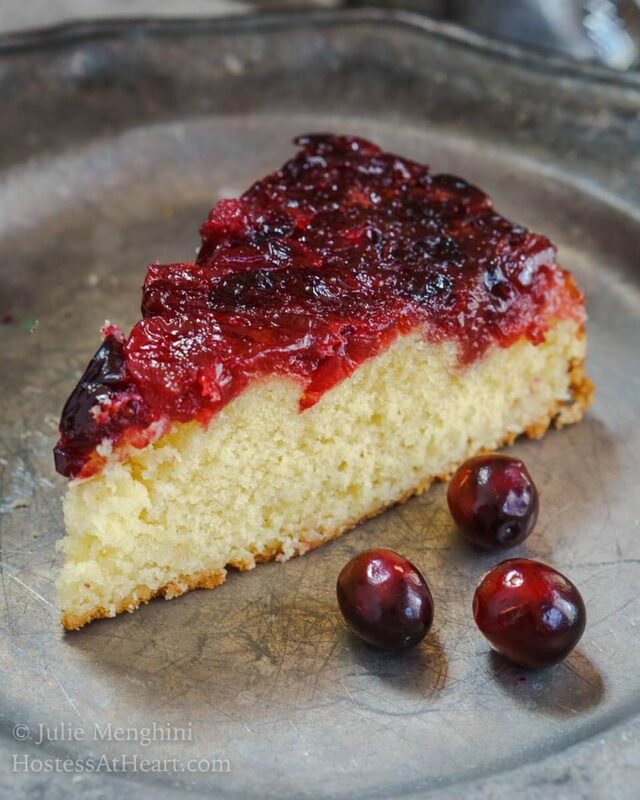 If only I’d had this Cranberry Upside-Down Cake. Our use of cranberries is much better today. I put dried cranberries in salads, oatmeal, trail mix, and granola. I still don’t buy and use fresh or frozen whole cranberries except at Thanksgiving. After all of the cranberry recipes being published this week, there may be a shortage by the time we get to Thanksgiving. Cranberry Upside-Down Cake may change that in this house. I can’t tell you how delicious this cake is. It’s so soft and tender. 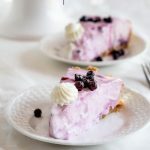 It tastes like sweet cream and is a wonderful contrast to the tartness of the cranberries. It’s going to become one of our regular favorites. 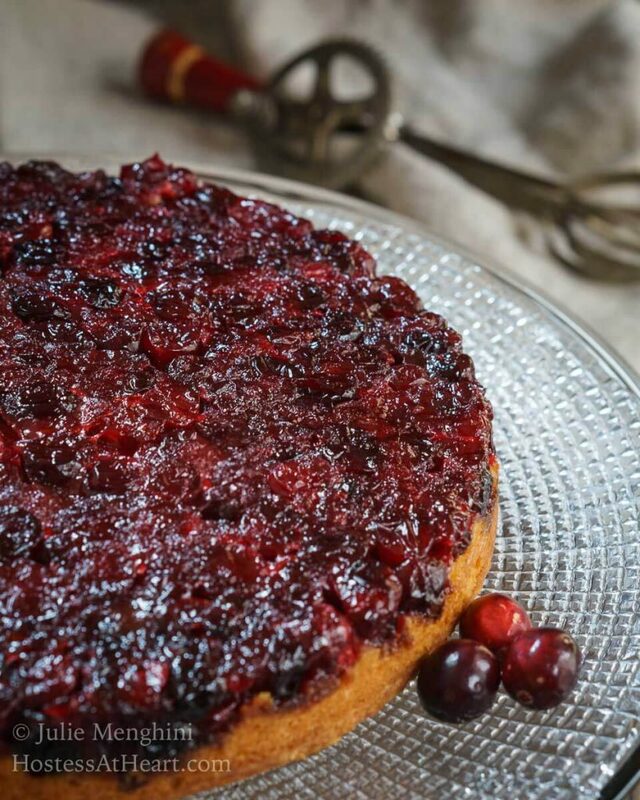 Cranberry Upside Down Cake is soft and tender. The cake tastes like sweet cream which is a great contrast to the tartness of the cranberries. Adjust the oven rack to the middle position. Preheat oven to 350°F. Grease and flour a 9-inch round cake pan. Line the bottom with a 9-inch parchment paper round and then spray with nonstick cooking spray. Set aside. In a medium-sized saucepan, melt the butter for the topping. Add remaining topping ingredients. Cook over a medium heat until cranberries begin to soften, approximately 3 minutes. Strain cranberries from the juice. 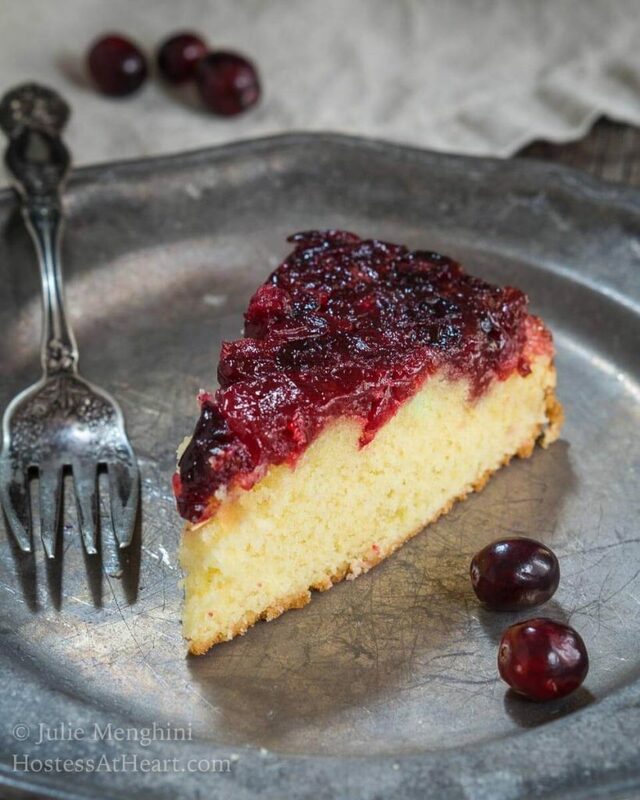 Put cranberries into the bottom of the prepared cake pan in a single layer. Return 1/2 cup of juice to the saucepan. Discard the rest. (I only had 1/2 cup of juice so used all of it. Continue cooking until thickened, approximately 5 minutes. Once thickened spread the sauce over the cranberries. Refrigerate while you prepare the cake. In a medium-sized bowl, sift flour, baking powder and salt together. Set aside. In the bowl of an electric stand mixer, cream butter and sugar together until fluffy. Add vanilla and then egg yolks one at a time. Mix until well combined. Alternate adding flour mixture and heavy cream, beating on low speed just until combined. In a small mixing bowl add egg whites and cream of tarter. Beat until stiff peaks form. Fold egg whites gently into cake batter. Gently spoon batter over cranberries, smoothing the top out evenly. Bake 40 to 50 minutes until top is browned and center springs back. Cool on a wire rack for 10 minutes. Run a paring knife around the edge of the pan and invert the cake onto a serving plate. Remove the parchment paper carefully. Allow to cool completely before serving. Adapted from HyVee Seasons Holiday 2011 issue. Now the cranberry love continues. 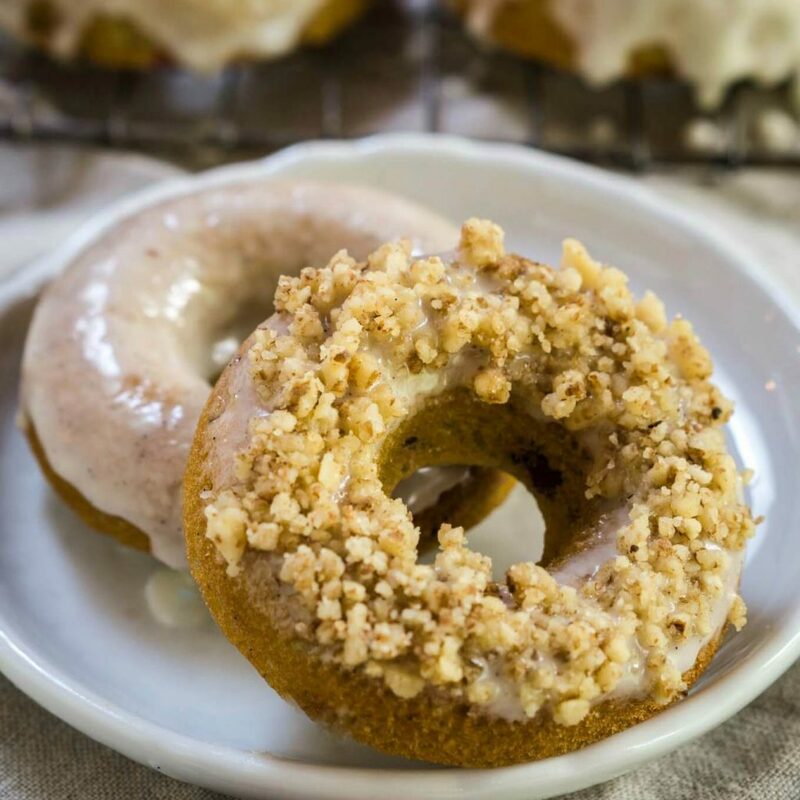 Let’s take a look at some of the other delicious entries. 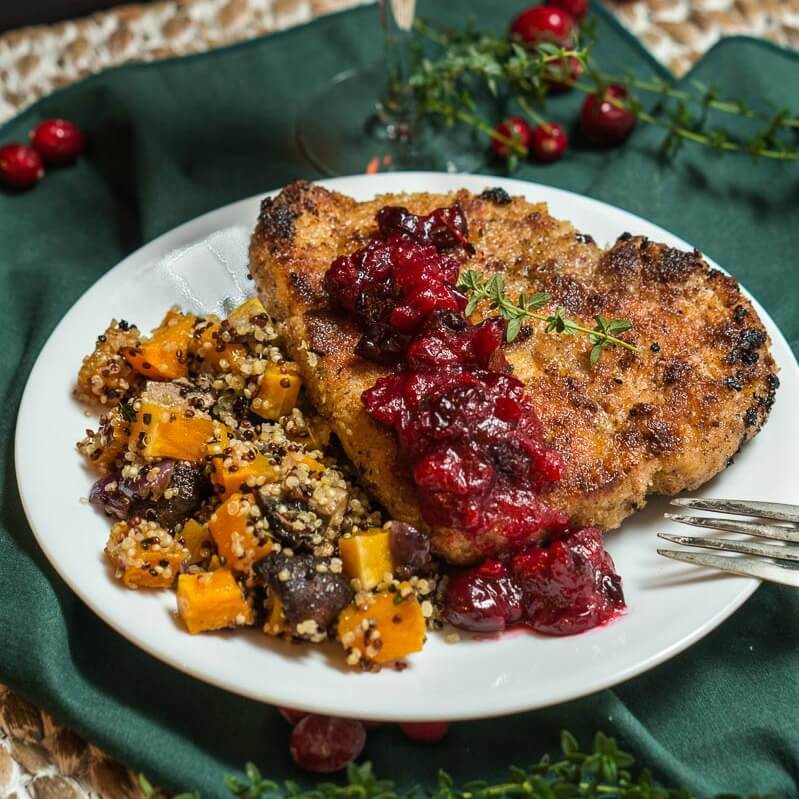 If you like cranberries like I love cranberries, here are a couple more of my favorite recipes! I never ate too many cranberries growing up because my mom only used the canned stuff. 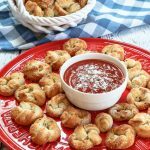 Once I started eating fresh ones and making my own sauce from scratch it changed my world! Same here Jennifer! If it wasn’t in the can it was ground up into a sauce. I’ve changed my ways my friend! This looks so good! 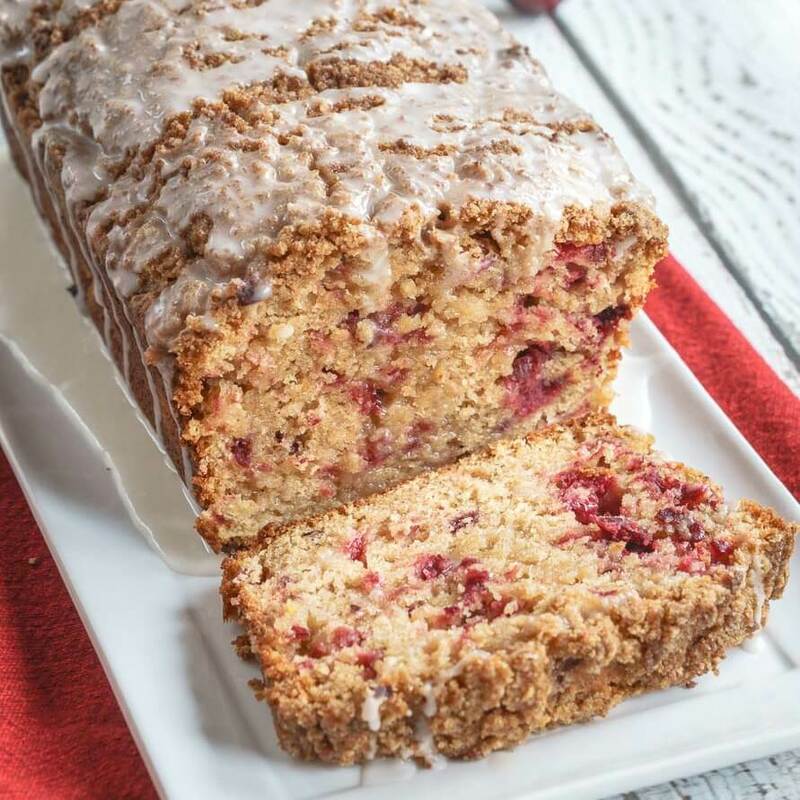 What a great idea using cranberries! Thank you Julianna! 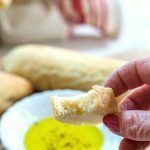 I had a great time with this little blog hop and have enough recipes to last me through at least this holiday. Thank you so much for co-hosting this week Julianna! I have been tempted to try making a cranberry upside down cake, but haven’t actually gotten to it. Now you’re moving it up my priority list. This looks lovely! It was so good Loretta. The interior really tasted by sweet cream which was a great contrast to the tartness of the cranberries. I have been eyeing these cakes all over. I love the upside down part of it that caramelizes the berries on top of the sweet cake. Mmmmmmm. Thank you Christie! They are easy too! I make cranberry upside-down cake, too. Love cranberries! Your cake looks tender and perfect, but I think you left the sugar out of the ingredients list. Photos are gorgeous! Ahhh Jean Bless you! I did forget to list the sugar. All fixed now. 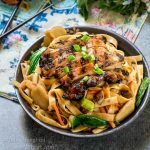 Thank you for leaving me a comment so I could make sure that it’s delicious for anyone that wants to make it! Julie, I know I always appreciate it when a reader notices something and tells me so I can fix it. I’m going to go tweet this lovely recipe now. And Pin. The caramelized cranberries looks imply divine! Can’t wait to try this recipe! Thank you so much, Jess! I hope you have an amazing Thanksgiving. Are you cooking? I have to have this cake!! Gorgeous cake! My mom would have loved this- she loved just about every kind of cake with fruit involved. I love the memories that food evokes Sue. Thank you for sharing! Upside down cakes are a favorite in my family. This would be so pretty on a holiday dessert table. Thank you Ellen! We really enjoyed the way it came out. I love the idea of this and it looks delicious. Thanks for joining in the #CranberryWeek fun! Thank you Caroline! I am so happy to have been invited to share this week. Thank you for ramrodding this group! Thank you Ana! It was delicious and pretty too. Have a wonderful Thanksgiving!